The following are 'larval host plants.' The caterpillar portion of the moth & butterfly (Lepidoptera) life cycle is a critical stage in which resources are obtained to springboard the insect into it's mature winged form. Much more attention & support in this area is needed, as the example of the Monarch with the milkweed host plant. The plants below are some that are known to provide those resources. This category is a work-in-progress. Ongoing effort will be made to include more larval host plants as well as which Lepidopteran caterpillar(s) each plant supports. Often, adult butterflies 'hang around' their host plants. The female to lay eggs & the male which is seeking females. Look for egg-laying & eggs. Find a cocoon or chrysalis. This is a great activity to engage children! Most of the leaves are clustered in a basal rosette making the flowering stems look airy and perfect to trim and pop into a vase. Like other sunflowers seed heads left on drying fall stems will provide food for birds in winter. Visited by a multitude of pollinators and is one larval host for the Gorgone Checkerspot, Silvery Checkerspot and Painted Lady butterflies. Licorice Goldenrod forms a tidy clump. Wonderful anise fragrance from crushed foliage provides a delightful show-and-tell opportunity. Goldenrods are particularly important to both insects and birds. Cut back by 1/2 in June to control height if desired & removed spent flowers to prevent self-seeding. Grown from Kentucky-source seed. One of the prettiest goldenrods, Rigid Goldenrod has broad, flattened clusters of rich yellow flowers that attract pollinators galore. 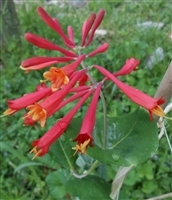 This plant is tall, typically unbranched and spreads by rhizomes. Grown from Kentucky-source seed. Yellow blooms, though moderately showy are cheerful, providing early season color and nectar for pollinators. 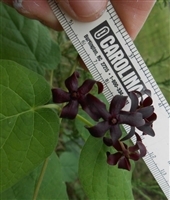 Host plant for the Black Swallowtail Butterfly. 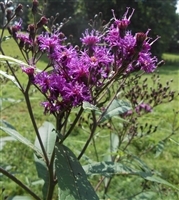 Try Ironweed in a bouquet with Mist Flower, just beautiful. Highly attractive to butterflies. Deer resistant. Grown from Kentucky-source seed. Blue flowers (0.5" to 1") with yellow centers beautify the garden with color & attract pollinators seeking late-season nectar. This plant is easy to grow, drought-tolerant & can be used in rock gardens. Grown from Kentucky-source seed. Spring-blooming member of the Carrot family & host to the Black Swallowtail Butterfly. Umbels of yellow flowers are particularly appealing en mass. Heart-shaped basal leaves distinguish this species from Golden Alexanders (Zizia aurea). 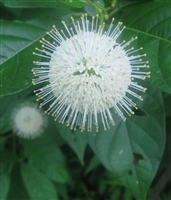 A wonderful little plant that produces a relatively big, cheerful flower (to 2" long). Blooms intermittently throughout the growing season. Drought tolerant. 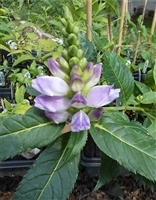 One larval host plant for the Common Buckeye butterfly & a source of nectar for hummingbirds. Grown from Kentucky-source seed.